The Wesleyan Argus | Will Tiger Once Again Roar at a Major? 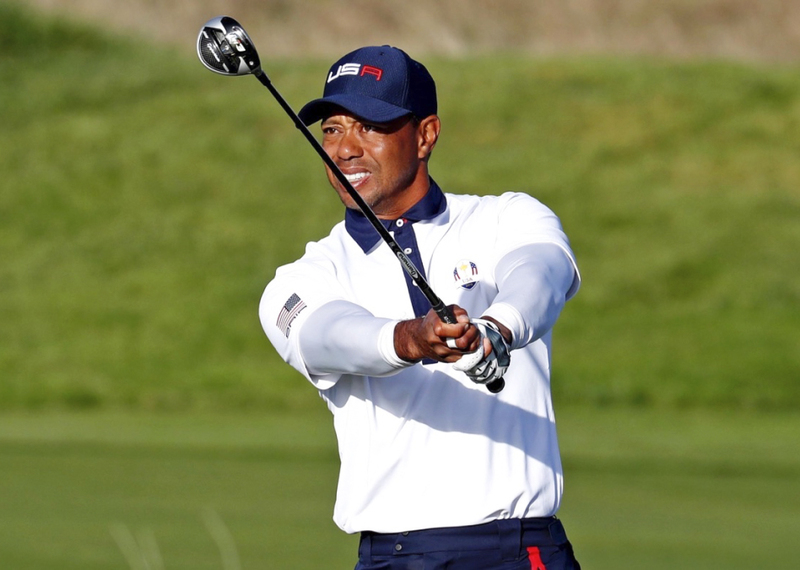 Will Tiger Once Again Roar at a Major? Tiger Woods’ utter dominance in his prime is virtually unimaginable for those who did not witness it. The performance he put on from 1996 to 2004 may be the greatest run of any athlete ever, and certainly the best by any golfer. In 1997, at the age of 21, he won the Masters Tournament by a ridiculous 12 strokes. Before the age of 32, Tiger won 14 major championships, just five short of Jack Nicklaus’ all-time record. Tiger in his prime was more clutch than Michael Jordan and more electric than Wayne Gretzky. Few images in sports rival his iconic fist-pump after sinking a long putt, and just watching his highlights on YouTube are enough to send chills down your spine. But the Tiger of the early-to-mid 2000s is gone, lost deep in the jungle of our memories. Today, he is still the face of golf, but he has not won a major championship for over 10 years. His fall from grace was one of the quickest and most shocking in sports history, leaving fans disappointed and desperate for more. So this summer, when Tiger finished in second place at the PGA Championship, he gave hope to fans across the world that he may still have something left in the tank. It was not the first time Tiger tried to reclaim the golf throne; in the last 10 years, he attempted multiple comebacks, each less successful than the last. But this summer was different. For the first time since 2008, we saw the real Tiger out there on the course, hitting impossible shots and sinking absurd putts. In his runner-up finish, he absolutely awed the world as he clawed his way up the leaderboard. But his resurgence has certainly not come without skeptics. Many golf fans doubt that Tiger will ever return to the level at which he played in the beginning of the century, and those people are probably right. Tiger is older and more fragile than he was in his youth, and his swing has suffered as a result. Just a year ago it was difficult to imagine Tiger even stepping back onto the fairway after enduring the latest of dozens of injuries over the past decade. However, like so many greats, Tiger worked to overcome the enormous adversity he faced. His recent jump in the world golf rankings to 13th is not a coincidence, but the result of hard work and a burning desire to win. His failed attempts to come back to the sport humbled him while harshly testing his work ethic. He passed the test, to say the least, and is back on track to dominate the sport of golf once again. And if you don’t believe me, take it from his competitors: 90 percent of pro golfers believe that Tiger will win another major before his career ends. The Tiger we saw out there in July and August, putting and fist-pumping his way towards the lead, is the Tiger that will win another major championship. We should all want to see Tiger succeed. Sure, his lack of enthusiasm during interviews is enough to make anyone fall asleep, and he has been involved in too many scandals to count. Yet, despite his personality flaws and myriad wrongdoings, America absolutely loves Tiger. His impact on the game of golf cannot be overstated, and when he finishes top 25 in a tournament, viewership increases by over 90%. From the moment he steps out onto the tee box, it is almost impossible to take your eyes off him. His determination to get back into golf is inspiring and truly demonstrates that hard work can overcome nearly anything life throws at you. So, yes, I will be happy for Tiger when he wins another major championship. You should be too.